Although this luxury hotel is stationary, the modern façade creates a sense of movement. The Hotel Marques de Riscal prides itself on being environmentally friendly—from efficient lighting to irrigation practices—and is located in the center of Marques de Riscal wine cellars (aka “The City of Wine”). During a stay, be sure to take advantage of the Vinotherapie Spa and winery tours. Situated on a private concession stretching 55,600 acres, this forest canopy embodies a natural style similar to its surroundings. 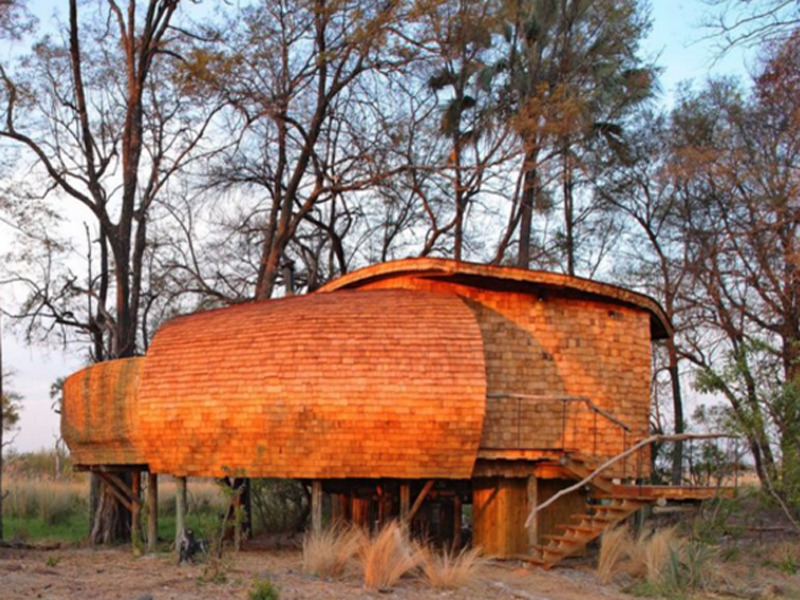 The interior of the Sandibe Okavango Safari Lodge incorporates authentic Botswana craft, and the lodge has an interactive kitchen for guests to try native beef and artisan breads. Sign up for bush walks and safaris to see wild dogs, secretary birds, and an elephant (or two). There’s no explanation needed as to why the Dog Bark Park Inn is every dog lover’s dream. 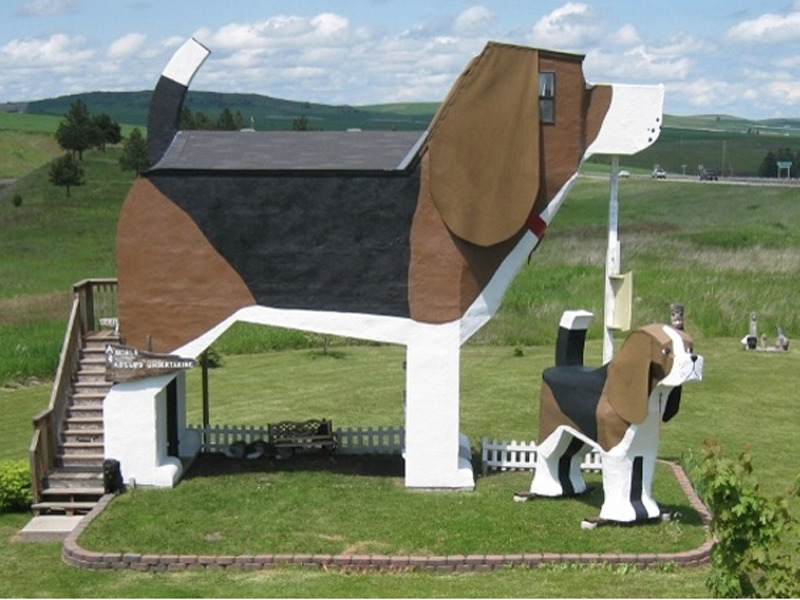 This painted canine accommodates up to four guests, complete with a bedroom, loft, and small kitchen area. The inn is located at Dog Bark Park (hence the name), with a carving studio and gift shop showcasing their dog-shaped wooden sculptures. This rather large arch makes an equally large statement in the historic city of Huzhou, the birthplace of Chinese tea culture. 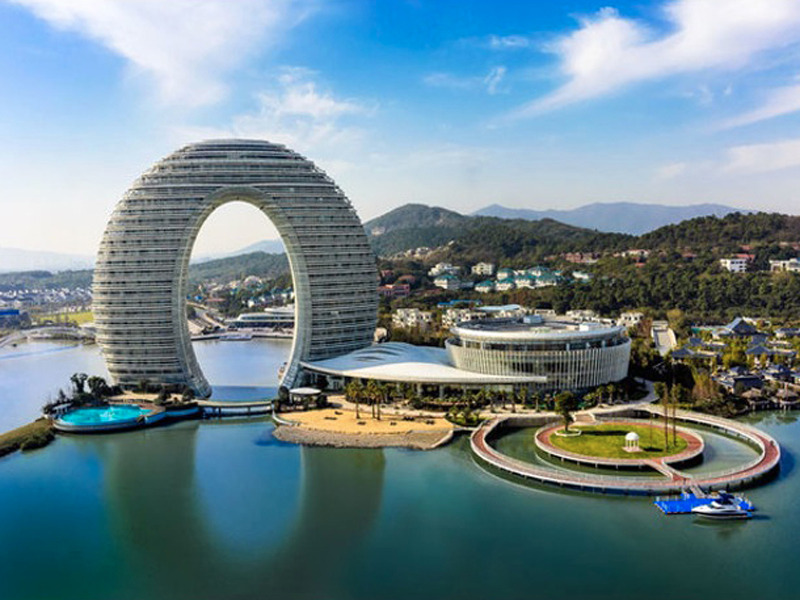 Modern architecture and geometric design is seen throughout the Sheraton Huzhou Hot Spring Resort, with private balconies in guest rooms that overlook Taihu Lake. Guests can book treatmnets in the Shine Spa, where each locker room has a steam room, saunas, and a hydrotherapy pool for additional relaxation. Nearly seventy houses stacked on top of one another form this one-of-a-kind structure. 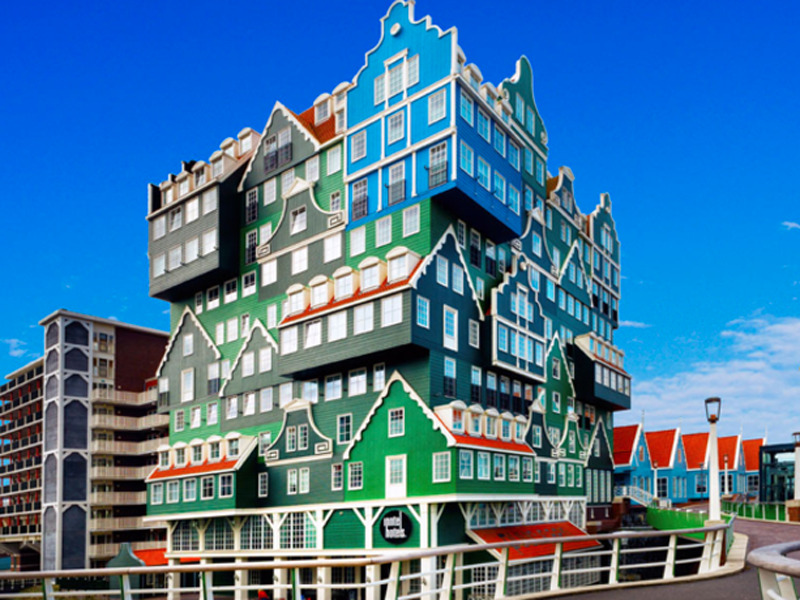 The dominantly green Inntel Hotels Amsterdam Zaandam hotel is made up of five Zaan-style houses, reflecting the district’s culture through architectural design. Pay special attention to the blue corner piece; it’s symbolic of a blue house from a painting by Claude Monet, which he created while visiting Zaandam. 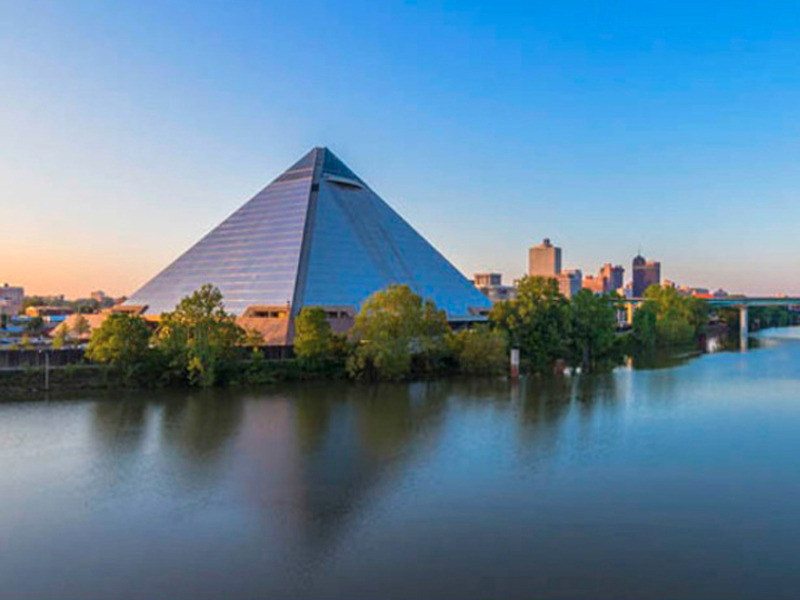 Known as the former home court of the Memphis Grizzles, this 32-story steel pyramid is now taking reservations for the Big Cypress Lodge. The hotel is located inside the Bass Pro Shops that now occupies the pyramid, with rustic interior inspired by duck hunting camps. Guests stay in rooms with handcrafted furniture, electric fireplaces and screened-in porches overlooking the ground floor swamp.